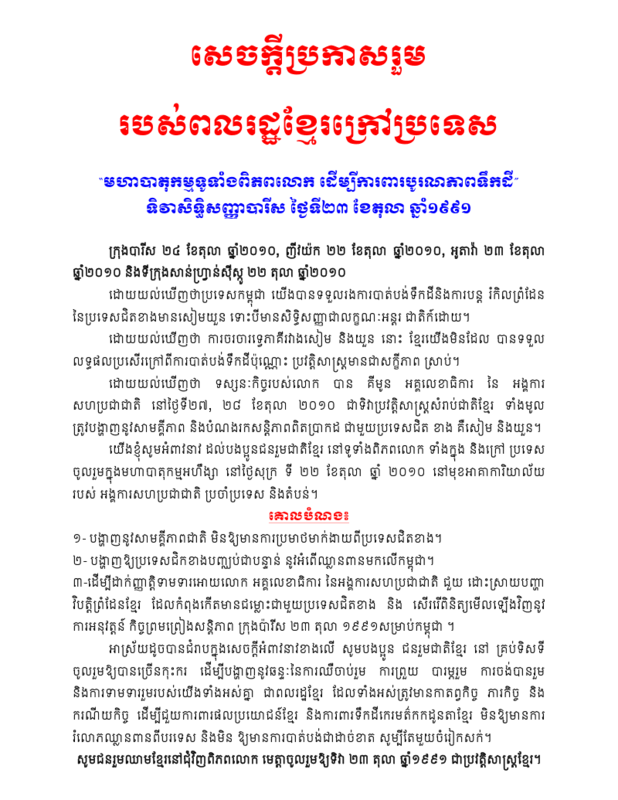 Home > Local News	> Joint Statement of Overseas Cambodians On the Worldwide Demonstration to Support the Paris Peace Agreement! 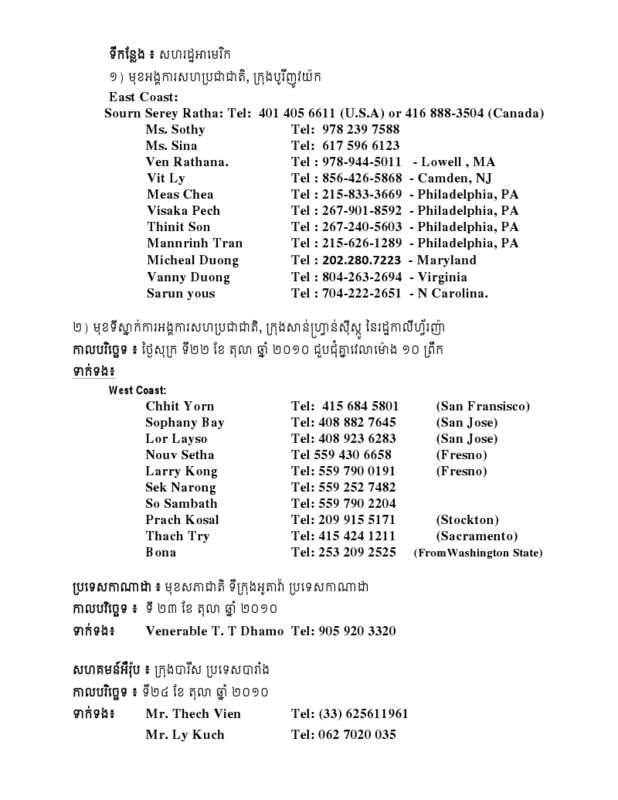 Joint Statement of Overseas Cambodians On the Worldwide Demonstration to Support the Paris Peace Agreement! Bangkok to Vote on Border Joint Statement of Overseas Cambodians On the Worldwide Demonstration to Support the Paris Peace Agreement!